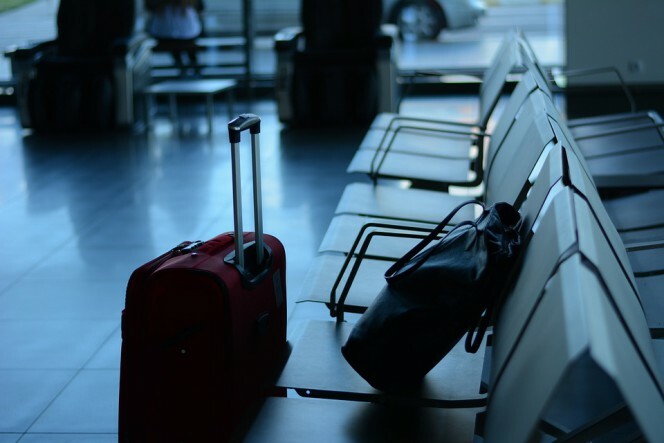 Concerns about the suitcase during a trip, especially if you are traveling by air, are often due to the fact that every airline company applies its own rules regarding luggage: size, weight, items which cannot be taken, etc. We employ so much energy to ensure a quiet departure that we often forget about a fundamental task: making sure that the luggage is secure. 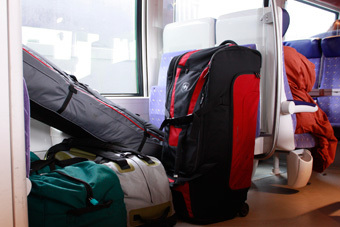 It is unlikely that you lose sight of your luggage on short trips, but there are times when, on a train or plane, you have to be separated from them. Let’s share a few tips to get to our destination with all our belongings. 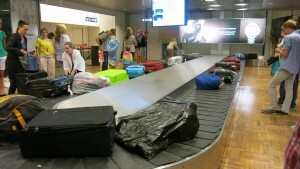 After a flight they are returned to a conveyor belt, unattended. During train journeys you often cannot keep an eye on your suitcase, and not even on the flow of people, who get on and off at stations. The first advice, though it may seem trivial, is to be separated from your luggage for the shortest possible time. On a train it is best to avoid placing the luggage “out of sight” and it is preferable to use the luggage racks above the seats. 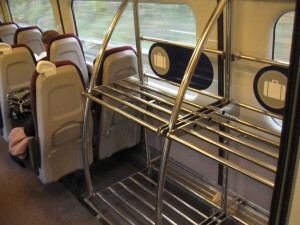 If, however, you have a lot of luggage which can only be arranged on the shelves at the beginning of each carriage, and therefore probably out of sight from your seat, a good solution could be represented by lightweight extendible cable padlocks which can be used to secure the luggage to the shelf racks. If you are traveling at night, a good idea is to use the backpack as a pillow and keep the suitcase nearby. If, on the other hand, you are traveling by air, it is advisable to reach the area where the luggage is returned to as soon as possible after landing and to stay near the conveyor belt. Another tip is to make your suitcase easily recognisable (e.g. 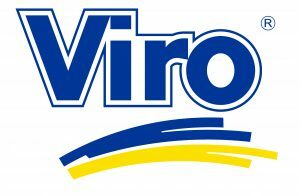 choosing a distinctive colour or identifying it with ribbons or labels) to prevent it being taken by mistake or premeditated thefts. Close your luggage with a padlock. Luggage locks do not represent an absolutely secure solution, but they still serve to deter a potential thief, who would still encounter an obstacle to overcome and might not be able to do so unnoticed. However, not all luggage locks are useful everywhere; in fact, to travel to the United States, where it must be possible for all luggage to be inspected by the passenger safety agency, you must have TSA authorised padlocks such as these. you need to have proof that the luggage has actually been tampered with, that is, that the lock or the closing system of the luggage has been forced (or, alternatively, the plastic film which covers it has been cut). Do not leave valuables in your suitcase, especially if it is to go in the aircraft hold; keep jewellery, money, cameras, mobile phones and other electronic devices with you. Even just visiting a city, pulling the suitcase along with you, might be risky (as well as uncomfortable!). The attractions of a city to be discovered might lead to you losing your attention and losing sight of your luggage. It’s called “Bagbnb” and it’s a community which brings together whoever offers a support network for storing luggage, everyday with long opening hours. They are the so-called “Angels” and tourists who need these services, leaving B&Bs or holiday homes but still having a few hours to visit the city, can use them. There are, therefore, various solutions for reducing baggage theft risks; it is always worth trying to adopt them.